Remember the Justin Elise borrowed her shirt from? I can see why she is shopping his closet. Justin said the greatest thing when we were talking. 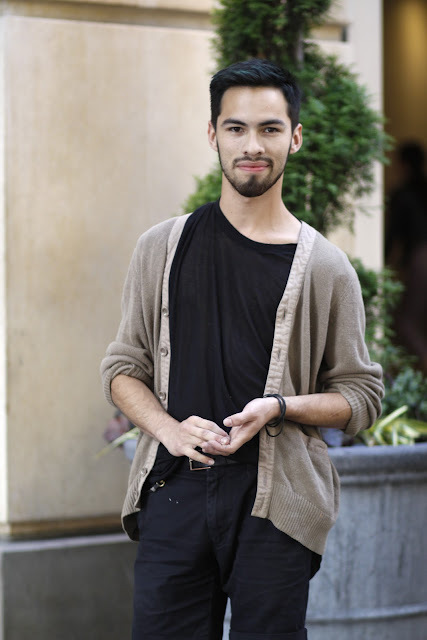 He explained that he tries to dress in a way that is"minimalist but not minimalistic". Well put! 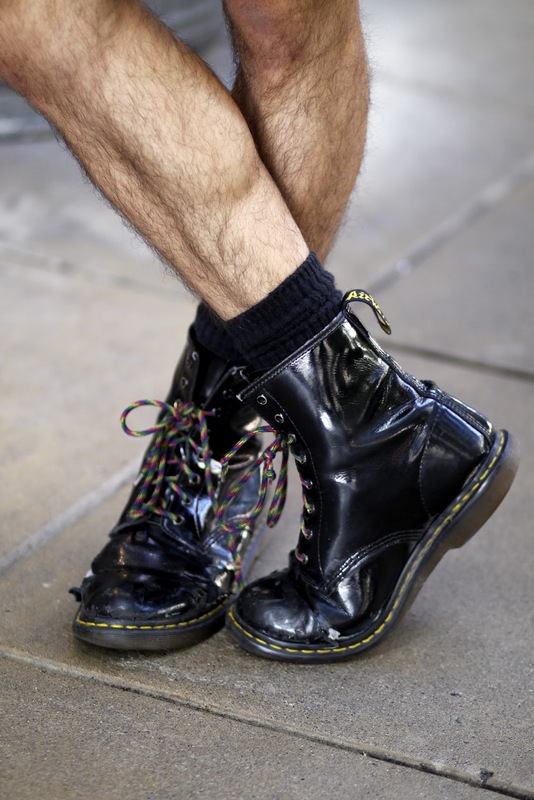 And I really like these worn out loved Doc Martens.